They say being in a band is like being in a marriage. True, perhaps, for an ordinary outfit. But life in the 30+ piece Melbourne Ska Orchestra is more like being in a mammoth extended family—ordinary gigs become grand homecomings, momentous get-togethers, an endless party. To take such a musical beast out of Melbourne and onto the road becomes a monumental feat of persistence and endurance. Make that road an international one, and you’re in for a hell of a ride. So it was, this past fortnight, when the MSO took to the skies to conquer the globe on its first ever Northern hemispheric jaunt, an odyssey of thrills, chills and spills, delicious creamy middles, choc full of Glastonbury mud, Canadian poutine, and good times par excellence. British two-tone ska. It’s a ‘pinch yourself’ moment for the band when the show sells out. The vibe is electric; sweet riddims, Fosters cans and balcony brass action—a sweaty, heaving night that sets the tour tone. We ride a coach the next morning east through verdant hallowed fields to the greatest festival on earth: Glastonbury. Spinal Tap quotes are enthusiastically unleashed with a Stonehenge drive-by. The tour is about to go to 11. An electrical storm knocks out the festival power as we pull in, the crowds roaring wildly when an epic double rainbow appears in the sky. Finally inside, we shack up in tepee tents, and begin to appreciate the enormity of the Glasto grounds, navigating a 40-minute mud trundle to our first show at an elusive den called the ‘Snakepit’, deep in the trippy ‘Shangri La’ circuit. Wellingtons become worth their weight in mud as the ground transforms into a vast sludge. The Snakepit set is ramshackle, a mad rush to get the full crew on stage, half the band held up in transport gridlock on a stage elsewhere, a chaotic shambles justified by the oft-used phrase “this is Glastonbury”. Still, the devotees in the crammed Snakepit lap up the looseness and party hard in anarchistic Glasto-style. Post-gig, ‘Shangri La’ sizzles in mythic night mist. We witness double kick metal flute and pyro brass; cabaret drag shows with angle grinders, loose units everywhere—a dystopian pleasure city: heaven, hell and purgatory rolled into one. The 5am stroll back to camp is ethereal—fluttering flags, cult-like silent discos; the festival city sparkles in gentle morning rise. On day 2, Bustamento rocks the Gully Stage. Munted punters form a human pyramid; some literally eat mud. It’s the premiere show of the tour—the big one, the catalyst for the whole sweet circus. MSO backs it up at night to an even wilder crowd. A pivotal show, we kick huge goals away from home; the MSO formula connects big time. As well as our minds, the festival blows our dry cleaning budget—intermittent rain turns pre-existing mud into a turgid brown paste; it stains pants, bedsheets, everything. Donning a black suit to a gig has never been more intrepid. With a 1am bus call back to Heathrow, we kill a few hours post-set. Some head to Metallica, the Manic Street Preachers, the backstage bar; I walk the park hill to Arcadia, where a giant spider made of jet engines and helicopter chassis shoots naked flame and smoke at gloss-eyed revellers. High on Glasto, we orphan our Wellingtons in a mass pile and watch the glittering stars of the makeshift city fall away in the dark night as we blaze our trail onto fresh adventures. 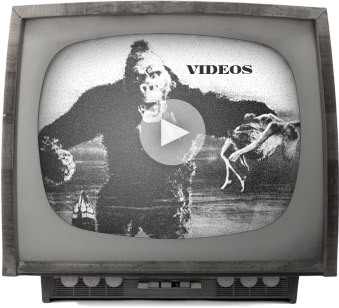 Check out the footage here! It’s hot when we arrive in Montreal, a steamy North American city with French panache. It quickly feels like home. After checking into ‘La Citadelle’ on Rue Sherbrooke, we mosey down to the simmering Montreal Jazz Festival grounds. The crew splits—some to waterfront bars for double cognacs; others, to dive bistros for cold pitchers of Molson and troughs of greasy poutine. Carbs kick in, night falls and Diana Krall wails in the main square. We hit up the festival mall the next morning, Rue Ste-Catherine, for the first of our four warm up busking performances. Crowds mill in droves, jiving to our tunes modified for the street, replete with marching snares and roving bass drum. We rock out under the scorching sun. It’s not until Wednesday night that we hit the big stage for our premiere performance. 50,000 people turn up. The night is beyond electric—wild calls and responses, epic Mexican waves; Lennox busts out ‘Imagine’ on steel pans to a spine tingling crowd singalong. We’ve never seen such a sea of heads, a true bucket-list moment for all of us. Consistent with each night in Montreal, the party kicks on—at dive bars and jazz clubs, festival shows, after-party jams at the Hyatt. We line our guts with smoked meat sandwiches from Schwarz’s and lashings of hot, dirty poutine. Still buzzing from the biggest show of our lives, we pound the highway north the next morning to Quebec City, a gorgeous historical hub. The turrets of Le Chateau Frontenac sparkle on the waterfront, the Festival D’ete brewing away on the main drag. We see coffee art on cobblestones, bizarre performance art, a faux-pontiff hurling holy water at punters from a moving altar. Another huge crowd meets us at the Hydro Quebec Stage. Sal’s French intro to When Dean Went Down to Mexico curries huge favour with the Francophiles. The Québécois are eminently vocal, refuse to leave and chant ‘Ole, Ole, Ole’ at us as the rain comes down. The following morning punches us in the face with a 6am lobby call and 9-hour bus ride to Toronto. We load in at Dundas Square, Toronto’s version of Times Square, with as many distractions—between off-beats and melody lines, we’re inundated with titanic neon adverts for H+M bikinis and Gillette shavers. An agreeable, eccentric local crowd takes warming up, but we win them over by the end. To the Hard Rock post-set for an after show bash, then nightcaps at the delightfully divey ‘Imperial’ with rounds of Crown Royal, Jalapeno poppers and deep fried pickles. On the home stretch, a 7am lobby call sees the crew bus four hours north to Sudbury, Ontario, to the Festival Boreal: the festival of the northern lights. Initial hopes at witnessing the Aurora Borealis are quashed when we learn from locals that it hasn’t been seen in Sudbury for over a decade. Instead, the crowd of hippies and folkies flash lighters and mobiles at our behest, a tasty improvisation. Festival Boreal is the slickest set of the tour, tight and powerful. The gushing crowd goes suitably nuts. They are warm and wonderful to us. It’s an elated scene post-show back at our college rezzie accom—intense rounds of ping pong, mad chats, keggers and carry on, the final delirious throes of an incredible moment in the history of the MSO. Come morning (and another bone-cracking 4.30am lobby call) the extended family will pack up and disperse to their respective corners—to Mexico, Ireland, Germany and, for the the bulk of us, back on home to chilly Melbourne. 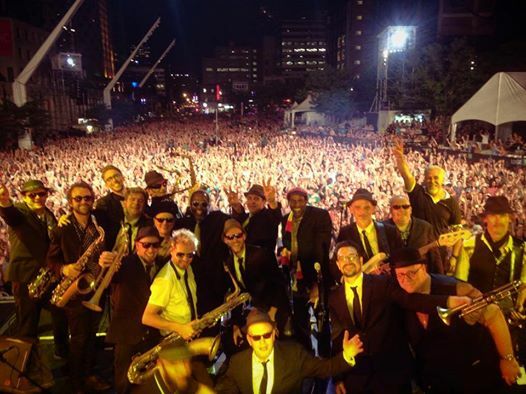 Canada, conquered; Glastonbury, surmounted—in the words of Borat: a “great success.” From Melbourne to Montreal, the world has now experienced the magical mayhem of the Melbourne Ska Orchestra. In good time, we’ll be back.